Your Trusted Real Estate Advisors! Whether you are buying or selling real estate, brokers who know the territory, understand the fast paced market and provide the highest level of service to each transaction are vital. A father-daughter partnership, Team Alex & Irene provides unparalleled service, communication, experience and follow-through. Alex brings 30 years of industry insight in San Mateo, San Francisco, and Santa Clara Counties. Irene specializes in the Mid-Peninsula, works with many investors, relocations and young families, investors,to make their home dreams come true. Whether you are considering buying a home, selling a home or both, we know this area inside and out. We are your Trusted Real Estate Advisors at your service. Testimonials: Don's take our word for it...See why our Clients love working with us, and refer us to their friends, family and trusted circle! Featured Property for Sale: Some of the best properties for sale are displayed right here. As experts in the Bay Area housing market we will provide you detailed information on these homes, or any others. Email Listing Alerts: Be the first to know what's coming up for sale in the Mid Peninsula, South Bay and San Francisco with our New Property Listing Alerts! 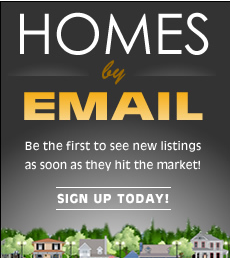 Just tell us what you're looking for and we'll email a daily update of all homes listed for sale since your last update. You can unsubscribe at any time. Market Trends Newsletter: Find out what's going on in the housing market today through our Real Estate Newsletter. Be sure to check these out! For home buyers, our knowledge of the Bay Area Real Estate: Serving San Mateo, Santa Clara and SF Counties real estate market is second to none. We know the neighborhoods, the current market conditions, and the opportunities for buyers in today’s market. Our buyer specialists are committed to helping you find the home you want at the best possible price. Finding your dream home or finding a buyer is only part of the challenge of a successful transaction. There are many details that need to be managed through closing, and Irene Weisman, Alex Feldman, Keller Williams Peninsula Estates brings the depth and breadth of skills and experience required to ensure your transactions go smoothly. Our commitment is to provide you the quality of service and communication you desire and deserve.